Titre : A Collection of voyages round the world : performed by Royal authority : containing a complete historical account of Captain Cook’s first, second, third and last voyages, undertaken for making new discoveries. 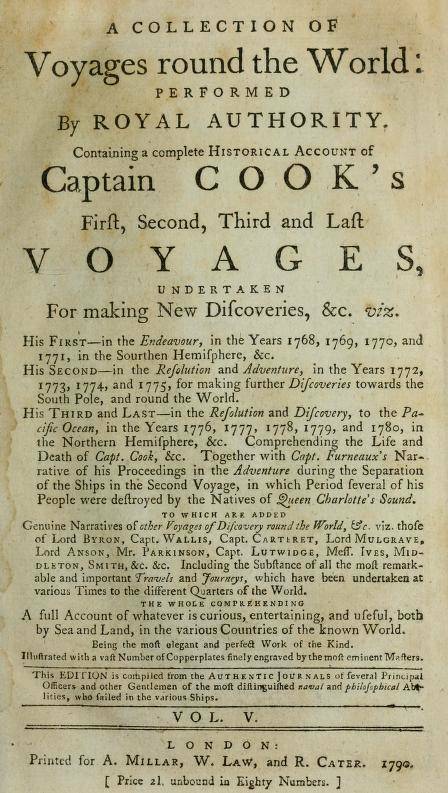 A new, genuine, and complete history of the whole of Captain Cook’s voyages, undertaken and performed by Royal Authority. Volume V.
Sujet : Récit des voyages de Cook.